The winter months can be a terrible struggle for some families. Sometimes families have to decide whether to buy a coat for their child or food. Our student population is not immune. 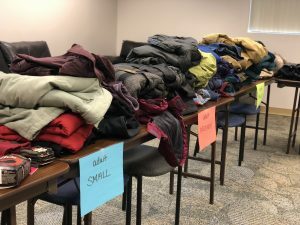 This effort by BLaST IU 17 staff helped make that decision easier for families in the 4 counties they serve: Bradford, Lycoming, Sullivan and Tioga. 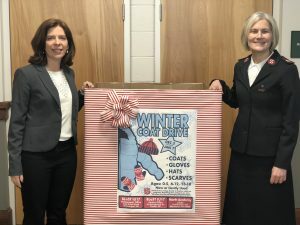 Collection bins were placed at the Williamsport and Canton BLaST offices and the drive ran from early December until January 7th to gather coats, hats, scarves and gloves. BLaST was happy to report that in all 112 winter items were donated. After items were handpicked and distributed to students served by BLaST, the remaining article s were donated to the Salvation Army.